Shardul Thakur made his debut on Friday during the second Test match between India and West Indies as Mohammed Shami was rested. Young Indian pacer Shardul Thakur made his debut on Friday during the second Test match between India and West Indies as Mohammed Shami was rested. Other than Thakur coming in and Shami out, Indian squad was unchanged for the second Test which means batsman Mayank Agarwal and Mohammed Siraj will have to wait to make their debuts in the longest format of the game. 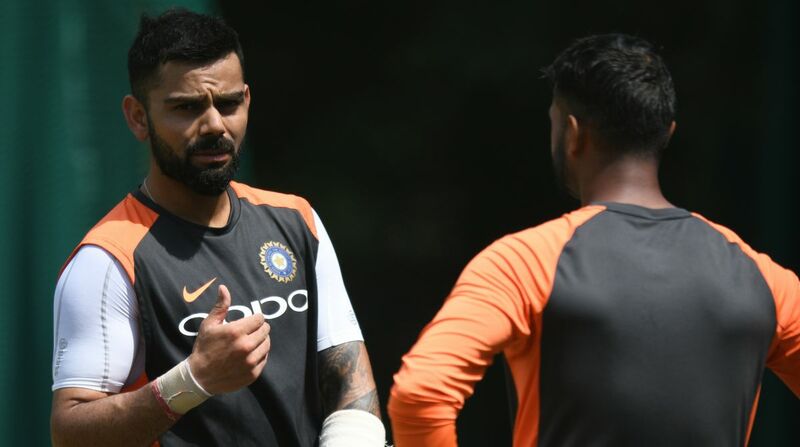 Before the 12-member squad for the second Test against Windies was announced on Thursday, many thought Mayank Agarwal might finally get his much-awaited debut as skipper Virat Kohli could be rested. However, contrary to many beliefs, Mayank Agrawal once again had to warm the bench as he was not able to secure his place in playing XI. Meanwhile, Twitterati criticised BCCI and Virat Kohli for ignoring Mayank Agarwal again. Mayank Agarwal scored tons of runs to earn a place in 15 member Indian squad. First it’s @karun126 and now it’s Mayank Agarwal. @klrahul11 is getting chances as he is Virat’s lap dog (and he also deserves it).